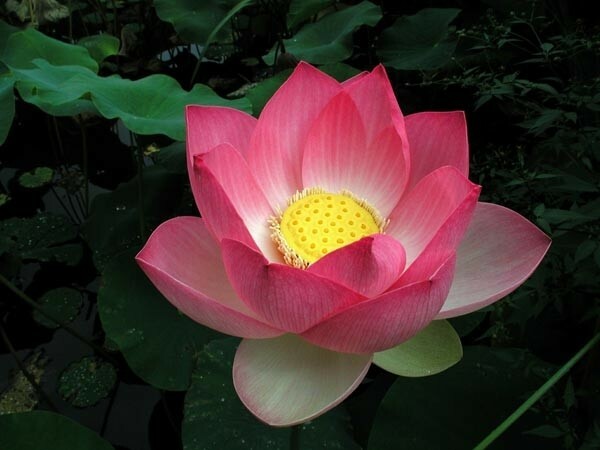 The Sacred Lotus (Nelumbo nucifera) possesses great significance in Eastern religion. Apart from its majestic beauty, the Nelumbo nucifera Lotus is held sacred because of the mystical effects it can produce. Nelumbo nucifera was often smoked or made into a tea with the idea that it would create a feeling of joy that permeated the mind and body. The flower of the Sacred Lotus was immortalized in Homer's The Odyssey, in which Ulysses and his crew come ashore on the Island of the Lotus-Eaters. The tubers that form at the bottom of the plant in the winter were and are commonly used as food my Native American tribes and in Japan.